The difference the iFrogLab NB-IOT WNB301H and WNB303R module are that. #. WNB303R is able to adjust the frequency range by using the full frequency band of the joint MKT chip. Advanced Solutions WNB301H is high performance NB-IoT module with extremely low power consumption for long battery life up to 10 years. 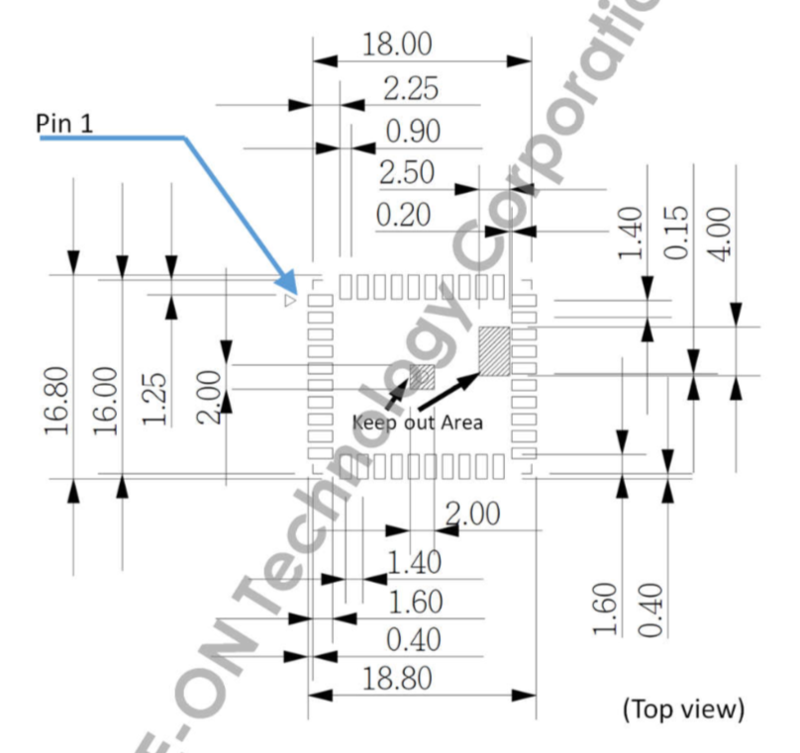 The ultra-low power design is applied at system level, in the different 3GPP modes of operation. 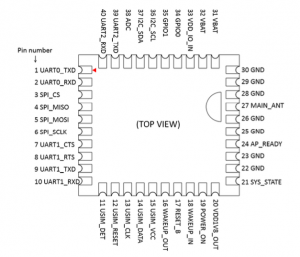 WNB301H supports various interfaces such as UART, I2C, SPI* and so on. The module provides customer high flexibility for different kind of applications. Due to the compact form factor, ultra-low power consumption and good performance, WNB301H is the best choice to be embedded to the design or solution for SmartX applications, ex. smart cities, smart metering and grid, security and asset tracking, environmental monitoring and control, health care monitoring, etc. 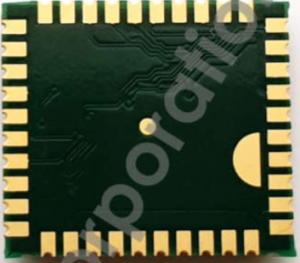 WNB303R is an SMD type module with LCC package, with an ultra-compact profile of 18.0mm × 16.0.0mm × 2.35mm, which can be easily embedded into applications. It provides hardware interfaces such as ADC, GPIO, and UART interfaces, and can meet almost all the requirements for IoT applications, such as smart metering, bike sharing, smart parking, smart city, security and asset tracking, home appliances, agricultural and environmental monitoring, etc. Designed with power saving technique, the WNB303R consumes an ultra-low current of Typ. 3.3uA in PSM (Power Saving Mode). The module fully complies with the RoHS directive of the European Union. WNB303R provides protocol stacks (UDP/TCP, CoAP, NIDD, Http(s)…etc.) and also supports LWM2M/MQTT cloud platform as below, which provide great convenience for customers’ applications. 1) Within operation temperature range, the module is 3GPP compliant. 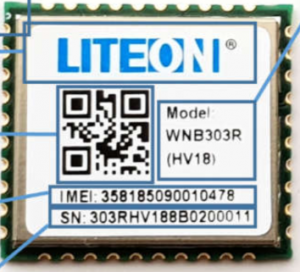 For lower supply voltage as 2.1~3.63V, please contact LITE- ON for WNB302R NB- IoT module. 3.3V power domain with Internally pulled up. Active low. Please refer to Figure 5 and 6 for design details. 3.3V power domain with Internally pulled up. Active low. 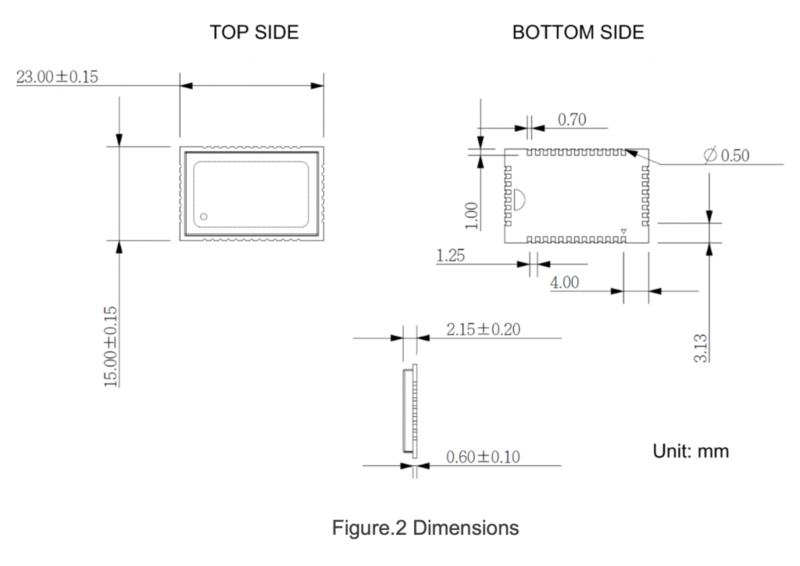 Please refer to Figure 7 and 8 for design details. 1.8V power domain If unused, keep this pin open. 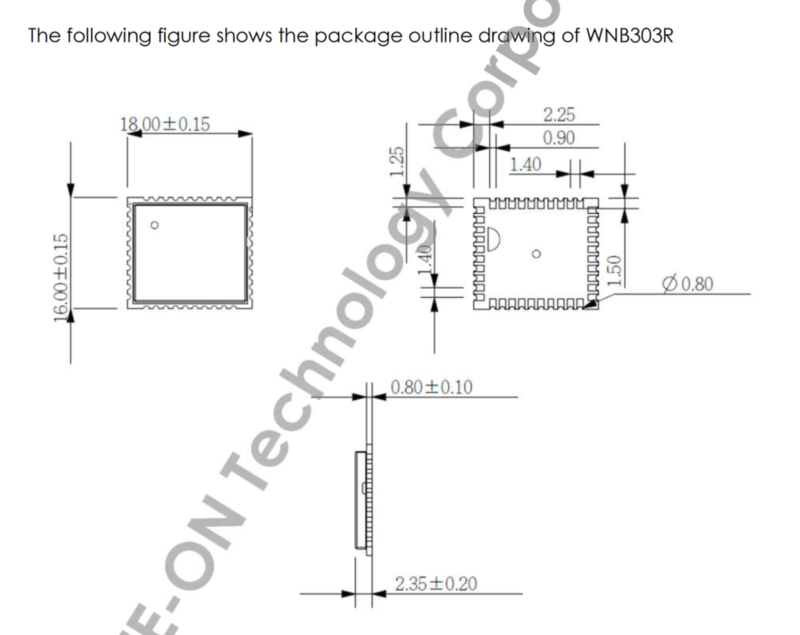 The following figure shows the package outline drawing of WNB301H. The iForglab has official to alliance with Taiwan telecom service and kick off this NBIOT business in 2019. 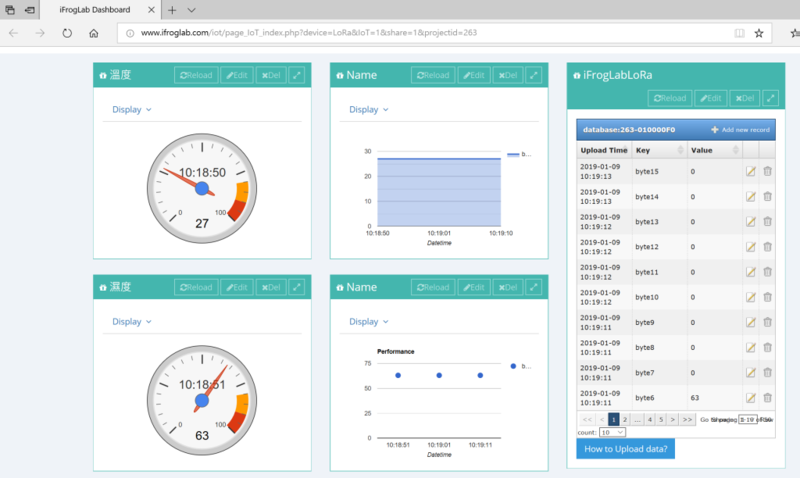 The iForglab has supported Dashboard that connection with NBIoT telecom system.